Close on the heels of its all-time high quarterly sales in Q1 of FY’19, Hero MotoCorp, the world’s largest single two-wheeler manufacturer, has raced into Q2 with yet another month of strong sales growth. With continued strong demand for its range of popular motorcycles and scooters, Hero MotoCorp sold 679,862 units of two-wheeler in the month of July 2018, registering a growth of 9% over the corresponding month of the previous fiscal when it sold 623,269 units. We are confident of carrying the growth trajectory forward and expect to grow at double-digit in the upcoming festive season. The normal monsoon in most parts of the country, and the consequent agricultural harvest will keep the sentiments buoyant and help maintain the momentum. Economic growth, rural investments and initiatives such as MSP, MNREGA etc. augur well for the future growth of the industry. 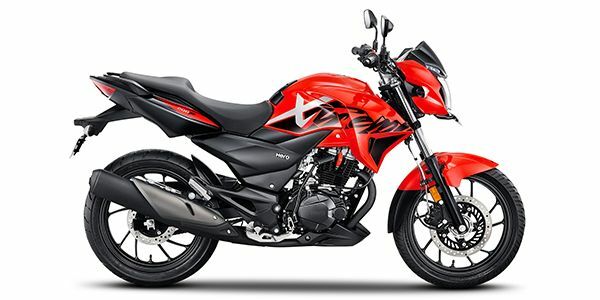 The Company has lined up multiple new product launches ahead of the festive season, including the Xtreme 200R motorcycle and the 125cc scooters. In keeping with Hero MotoCorp’s philosophy of ‘Sustainable Growth’, its range of motorcycles and scooters are manufactured at the Company’s state-of-the-art Green manufacturing facilities, some of which are known as ‘Garden Factory’. As part of its commitment for a cleaner, pollution-free environment, Hero MotoCorp is focused on maintaining the highest ecological standards in manufacturing.